For decades, the United Kingdom has had an ambivalent and sometimes contentious relationship with the European Union. 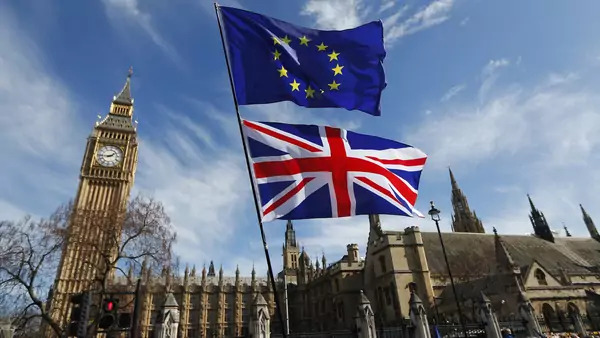 London has kept its distance from EU authority by negotiating opt-outs from some of its central policies, including the common euro currency and the border-free Schengen Area. Advocates of a British exit, or Brexit, from the union argued that by reclaiming its national sovereignty, the UK would be better able to manage immigration, free itself from onerous regulations, and spark more dynamic growth. The victory of the Leave campaign in a June 2016 referendum on the UK’s future in the bloc led to the resignation of Prime Minister David Cameron. Under his successor, Prime Minister Theresa May, the UK has spent years negotiating a new relationship with the EU. With May committing to leave the EU Single Market by March 2019, the UK could face the loss of preferential access to its largest trading partner, the disruption of its large financial sector, and even the breakup of the UK itself. May’s razor-thin majority in Parliament and deep divisions within her own Conservative Party have repeatedly raised the specter that negotiations with the EU could fail. Meanwhile, some fear the Brexit process could accelerate nationalist movements from Scotland to Hungary, which would have unpredictable consequences for the EU. What is the history of the UK’s membership in the EU? Why did Prime Minister David Cameron try to change the terms of membership? Many conservatives never reconciled with membership in the EU, and discontent rose in particular over immigration. The issue of migration from within the EU is fraught, as the UK is currently required to accept the free movement of EU citizens. Economic migration from eastern Europe spiked after the EU expansions of 2004 and 2007, pushing net migration to the UK to more than three hundred thousand people a year by 2015. Cameron called the situation unsustainable. “It was never envisaged that free movement would trigger quite such vast numbers of people moving across our continent,” he said in 2015. Drawing on this anger, in 2014, the anti-EU UK Independence Party (UKIP) surged, winning the most votes in the UK’s elections to the European Union parliament with an anti-immigration platform. What I am proposing cannot mean membership of the Single Market. The eurozone crisis also created strains after the EU proposed an unprecedented “fiscal compact” to coordinate budget policy. Cameron rejected the idea in 2012 as harmful to the UK’s financial sector and chafed at the possibility of an additional treaty change. In a 2013 speech, Cameron attacked flaws in the eurozone and what he called the EU’s excessive bureaucracy and lack of democratic accountability. He also promised to hold a referendum on the UK’s EU membership if his Conservative Party won the 2015 elections, which it subsequently did. In November 2015, Cameron announced that before holding a referendum, he would seek EU reform in four major areas: national sovereignty, immigration policy, financial and economic regulation, and competitiveness. In February 2016, EU leaders agreed to a number of changes, including protections for non-euro currencies within the EU, new limits on migrants’ benefits, a commitment to reducing EU regulation, and official recognition that the push for “ever closer union” does not apply to the UK. With these reforms, Cameron hoped to quell the country’s Euroskepticism, but the specter of mass migration, combined with several major terrorist attacks in Europe, gave the Leave camp new ammunition. “What he didn’t bargain for was that the migration crisis would get very bad,” says CFR Senior Fellow Sebastian Mallaby. EU leaders have made clear that the subsequent Leave win invalidated the reforms. Under the terms of Article 50 of the 2009 Lisbon Treaty, beginning the process of leaving the EU required an official notification from the UK government. This led to debate over when, or even if, the article should be invoked, and whether the UK Parliament could block it. Prime Minister May, who won the Conservative Party leadership race to succeed Cameron in July 2016, made clear that “Brexit means Brexit.” However, the British high court ruled that invoking Article 50 did require the support of Parliament, which subsequently voted affirmatively. May triggered Article 50 on March 29, 2017. The treaty gives the UK a two-year window to negotiate the terms of its withdrawal, meaning that unless the EU were to approve an extension, the UK will exit in March 2019, with or without a deal. Negotiations have been extremely complex. The UK needs to determine numerous transitional procedures for disentangling itself from EU regulations, settling the status of the millions of UK citizens residing in the EU and non-UK EU citizens in the UK, and deciding the future of UK-EU security cooperation. The final withdrawal deal must be approved by a supermajority of EU countries, as well as by a majority in the European Parliament. Separately but simultaneously, the UK is negotiating the terms of its future association with the EU. It’s unclear what such a relationship would look like, but several non-EU countries offer potential models [PDF]. Norway, for instance, is a part of the European Economic Area (EEA), which gives it partial access to the Single Market in goods and services. However, it has no say in making EU law even though it has to contribute to the EU budget and abide by EU regulations. Switzerland is not part of the EEA, but it has partial access to the Single Market through a web of bilateral agreements that cover goods but not services, which comprise almost 80 percent of the UK economy. Turkey has only a customs union, meaning a free market of goods but not services as well. However, both Norway and Switzerland must also accept the free movement of people from anywhere in the EU, one of the Leave campaign’s primary complaints. In January 2017, May confirmed that the UK will not remain in the Single Market or EU customs union after Brexit. Instead, the government will pursue a new trade agreement with the EU. May called snap elections for June 2017 with the goal of strengthening her parliamentary majority, and the campaign focused heavily on the parties’ competing visions for Brexit. The Conservatives’ platform called for withdrawing from EU institutions, drastically reducing immigration, and accepting that “no deal is better than a bad deal.” The Labour Party under Jeremy Corbyn espoused a more pro-EU vision for Brexit talks, remaining open to the free movement of EU citizens and ruling out leaving the union without first reaching a framework agreement on the future of EU-UK relations. Corbyn performed well enough to deny the Conservatives a majority, weakening May’s hand in subsequent negotiations with the EU. By November 2018, May had reached a deal with her EU counterparts, but it led to defections of prominent ministers from her government and divisions among Conservatives, who feared that the proposal conceded too much. Prominent among their complaints was the plan for a “backstop” that could keep the UK in the EU customs union indefinitely, until a solution to the Northern Ireland border issue could be found. In January 2019, May lost a parliamentary vote on her plan by the largest margin of any prime minister in history. This defeat has left several scenarios still in play: a hard, no-deal Brexit; a renegotiated plan that could win the support of Parliament; or, as some have proposed, a second referendum, to avoid Brexit altogether. What were the arguments for leaving the EU? Reclaiming sovereignty was at the forefront of the Leave campaign. For Leave supporters, European institutions have changed beyond recognition since 1973, and they accuse the EU of becoming a suffocating bureaucracy with ever-expanding regulations. “Laws which govern citizens in this country are decided by politicians from other nations who we never elected and can’t throw out,” argued Justice Minister Michael Gove. Immigration was the leading complaint. The number of EU migrants in the UK nearly tripled between 2004 and 2015, from about one million to over three million, almost totally due to an influx of citizens from newer members including Poland, Bulgaria, and Romania. Terror attacks in Paris and Brussels raised fears that the free movement of people leaves the UK vulnerable. The immigration issue powerfully combines anxieties over identity, economic security, and terrorism, says Matthew Goodwin, an expert on UK politics at the University of Kent. “The referendum is as much about immigration as it is about Britain’s relationship with Europe,” he says. For some analysts, European institutions are ill-equipped to address the economic challenges of the modern world. Economist Roger Bootle, author of The Trouble With Europe, argues that the EU’s focus on “harmonization”—the continent-wide standardization of everything from labor regulations to the size of olive oil containers—threatens Europe with persistent low growth and high unemployment. Leaving will spark economic dynamism, according to Dominic Cummings, director of the Vote Leave campaign. The EU is “extraordinarily opaque, extraordinarily slow, extraordinarily bureaucratic,” he says. Leave supporters believes that without that burden, the UK can reduce regulation, improve competitiveness, and forge trade deals with fast-growing emerging economies. To Cummings, the reforms Cameron negotiated were trivial, leaving the UK no choice but to eject from a dysfunctional union. How has the UK benefited from membership, and what are the risks of leaving? In the days after the Brexit vote, global markets shook. The British pound fell sharply, reaching a low not seen in more than a century. In response, the UK central bank unveiled a large package of stimulus measures, including its first cut in interest rates in more than seven years. The long-term outlook is still uncertain. For Adam Posen, president of the Peterson Institute for International Economics and former voting member of the Bank of England, the pro-Brexit camp’s economic arguments were a “fantasy.” He argues that immigration from the EU has driven growth and that belonging to the EU has allowed the UK to “punch above its weight” in trade, since the larger bloc can negotiate more favorable market-access deals with outside countries. Other U.S. observers have warned that a Brexit would damage the UK’s special relationship with the United States. On an April 2016 state visit, President Barack Obama argued that membership in the EU enhances the UK’s global influence and aids U.S. interests. But President Donald J. Trump has praised the Brexit vote and promised a rapid start to new trade talks between the UK and the United States. Much will depend on the UK’s post-Brexit relationship with the EU. Losing barrier-free access to the Single Market, with its more than five hundred million consumers and over $18 trillion worth of GDP, places more pressure on UK policymakers to strike a trade deal with the EU. Without it, UK exports would be subject to the union’s external tariff starting in 2019. Trade would suffer and some foreign investors would likely pull out of major industries, such as the thriving automotive sector. The UK would also be shut out of any EU-U.S. free-trade deal (known as TTIP) and would need to renegotiate trade access with the fifty-three countries with which the EU currently has trade agreements. Particularly hard hit, argues founder of the pro-Remain website InFacts, Hugo Dixon, will be financial services. They currently enjoy “passporting,” meaning UK-based financial institutions can operate freely anywhere in the EU. If that is lost, many firms are likely to move their offices—and jobs—out of the UK to elsewhere in Europe. How could the Leave vote affect the rest of Europe? The most immediate consequence could be the breakup of the UK itself. Scotland, which held an unsuccessful independence referendum in 2014, voted to remain in the EU. In March 2017, Scotland’s first minister, Nicola Sturgeon, proposed a new referendum, arguing that the largely pro-Remain citizens of Scotland deserve a choice over whether to remain in the EU by leaving the UK. However, Prime Minister May rejected such a vote, which must be approved by London. Ireland, too, will face a dilemma; it is strongly committed to the EU but economically intertwined with the UK. Ireland’s government has also warned that a Brexit could upend Northern Ireland’s peace settlement and complicate border between Ireland and Northern Ireland. Some analysts say that the potential Conservative coalition with the Democratic Unionist Party (DUP), a party from Northern Ireland devoted to maintaining union with the United Kingdom, could push the issue of the Irish land border to the forefront of negotiations. Elsewhere, Brexit may embolden Euroskeptics by providing a template for leaving. Elsewhere, Brexit may embolden Euroskeptics by providing a “template” for leaving, says CFR’s Mallaby. “The younger generation of Italians, Portuguese, and Greeks associate membership of the eurozone, and, by extension, the European Union, with a terrible depression,” he says. That has translated into electoral gains for anti-EU parties, such as France’s National Front, Germany’s Alternative für Deutschland, and Hungary’s Jobbik. Polling has repeatedly found that a majority of French citizens want their own EU referendum, though the May 2017 French presidential elections gave the pro-EU Emmanuel Macron a resounding victory over Euroskeptic Marine Le Pen. The ultimate fear around the continent is that Brexit could unravel the rest of the EU, especially if the UK economy performs well in its aftermath. Even barring that, Brexit will be a heavy blow to a union that has struggled to maintain a united front maintaining sanctions on Russia and managing the unprecedented wave of migrants. And, in the wake of 2015 terrorist attacks in Paris, when France invoked the EU’s mutual defense clause for the first time, Brexit threatens to end Europe’s hopes for a truly common security and defense policy once and for all. This selection from the Financial Times' archives traces the history of the UK's often contentious relationship with the European Union. Cameron's reforms were little more than symbolic tweaks to the status quo, but leaving will not make the UK better off, argue R. Daniel Kelemen and Matthias Matthijs in Foreign Affairs. All of the alternatives to UK membership in the EU come with considerable costs as well as benefits, explains this UK government analysis [PDF]. CFR President Richard N. Haass argues that a Brexit would strain ties between the UK and the United States and weaken Europe in Project Syndicate. Multinational law firm DLA Piper analyzes the implications of a Brexit on the UK legal and regulatory system, as well as the financial services sector. Wall Street Journal commentator Greg Ip explores how the weakening pound is reshaping the British economy. Prime Minister Theresa May lays out her vision for a post-Brexit United Kingdom in a January 2017 address.